Mr Low Zheng Hui (left), 28, always had an academic interest in understanding the human body and medical radiation. 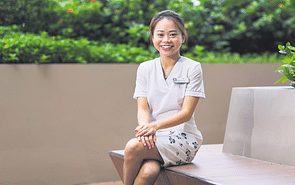 Keen to find a field that married his love for the subjects of biology and physics, a part-time work stint as a medical records assistant at a medical clinic proved to be providential. There, he met with the head of radiology services, allowing him to gain a greater insight into what it takes to be a radiographer and led him to seek out a career in the field. Today, Mr Low is a radiographer at the National University Hospital (NUH). He specialises in operating theatre X-ray imaging, with the X-rays acting as “eyes” for surgeons. As radiology services are needed in the hospital around-the-clock, he works on shifts — either regular office hours, or at nights. During regular hours, Mr Low usually starts his day by attending to outpatients who require various imaging services. He also works with his radiology colleagues to ensure that the scans are good. In addition, he helps to attend to any clinical queries. The night shifts usually require him to cover portable X-ray duties in the intensive care units, swards, emergency operating theatres and X-ray services in the emergency department. Mr Low also helps to train new radiographers in the operating theatre, ensuring that they are competent and able to handle various procedures. “I am also trained in the field of nuclear medicine, a branch of medical imaging that uses small amounts of radioactive pharmaceuticals to diagnose and determine the severity of or treat a variety of diseases from cancers to cardiovascular diseases.” he says. 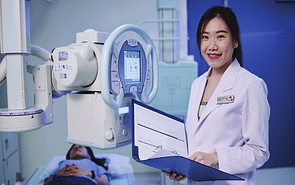 Armed with a diploma in diagnostic radiography from Nanyang Polytechnic, Mr Low took a Bachelor in Science (Diagnostic Radiography) at the Singapore Institute of Technology-Trinity College Dublin (SIT) in 2014. 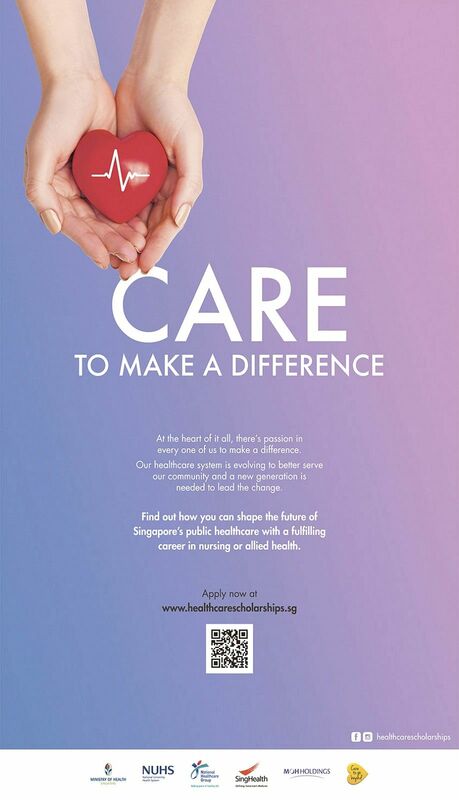 He applied for and received the Healthcare Merit Award (HMA), a scholarship offered by the Ministry of Health Holdings to students with a passion to pursue careers within the public healthcare sector. Besides alleviating the financial stress on Mr Low’s retired parents, the HMA also provided benefits such as tuition and compulsory fees, monthly allowances, clinical placement allowance (for overseas studies) and sponsorship for approved developmental programmes. His education definitely gave him an edge at work as the critical thinking skills he picked up in school allow him to make decisions that benefit his patients. During his time at SIT, Mr Low went on a six-week clinical attachment at St James Hospital, the largest teaching hospital in Dublin, Ireland, a stint that required him to work with the Irish radiographers and to quickly adapt to the Irish culture. 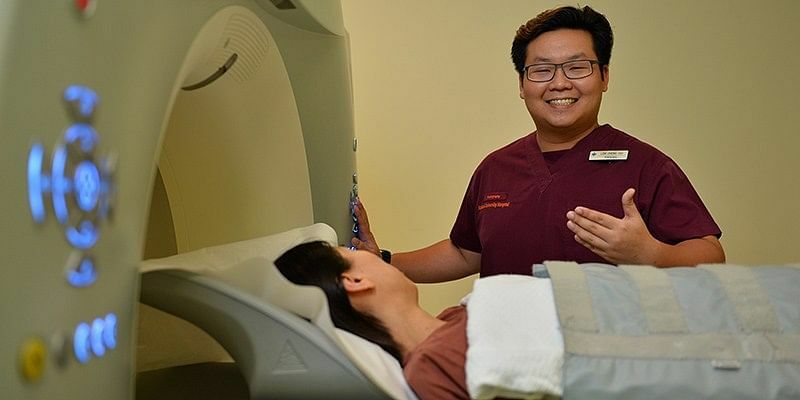 There was a heavy emphasis on explaining procedures clearly and building a good rapport with the patients, before the start of any radiological investigation, something he says may be “easily overlooked” in a fastpaced environment like Singapore. According to Mr Low, the HMA helps students adapt to the healthcare field. For instance, there are meetings with representatives from the healthcare industry, allowing students to stay updated on developments. Plus, mentorship programmes ensure that nobody is left behind. 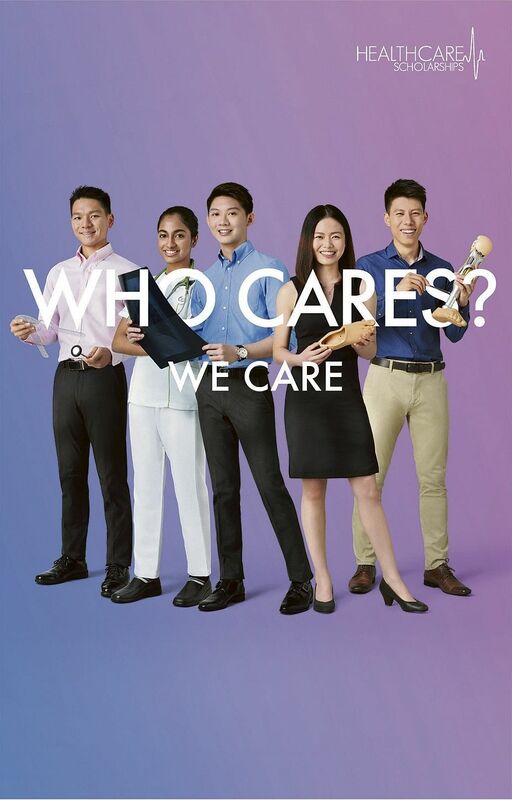 For those interested in this career, he says that it is imperative for them to have the heart and passion to serve, as a healthcare job may be thankless at times and emotionally challenging.